How much does a custom window treatment cost? Answer: The cost of window treatments can vary greatly. No matter what your budget, we will work with you to give you a beautiful treatment within your reach. Our goal is to help you achieve the look you want within the budget you determine. We need insulation for our windows. What can we do? 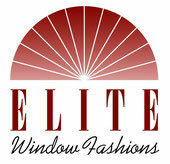 Answer: We offer a variety of window treatments that provide superior insulation. We can show you the many options available with the proper shadings or linings that can help with heating and cooling your home. Answer: We offer professional installation on any treatment purchased from us. Answer: We have a wide selection of fabric as well as hardware to hang your treatments.